What would you buy if you won? Would you do back to school shopping or start your Christmas shopping? Disclaimer: Geeky Girl Reviews is not responsible for the awarding of the prize. 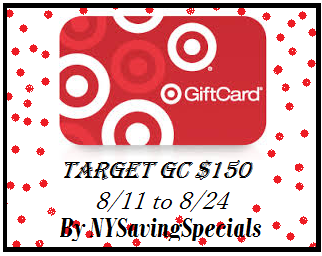 If you have any questions about this giveaway, please email the host at nysavingspecials@gmail.com. This blog, Facebook, Twitter or any other social media network is not associated with this giveaway.